The Parable Garden Education Project – A garden for the soul, an experience for the spirit. People have always visited the hilltop, the forest and the seashore for they are like doorways, through which we glimpse a different perspective on our lives. The Parable Garden Education Project is based in a special place near Curracloe, Co Wexford. Located in a walled garden beside the seashore there are lovely walks in the forests, over the hills and along the beach. The walled garden was built during the middle of the nineteenth century to enclose an orchard. Long since lost under weeds and ivy it has now been brought back to life as the Parable Garden Education Project. 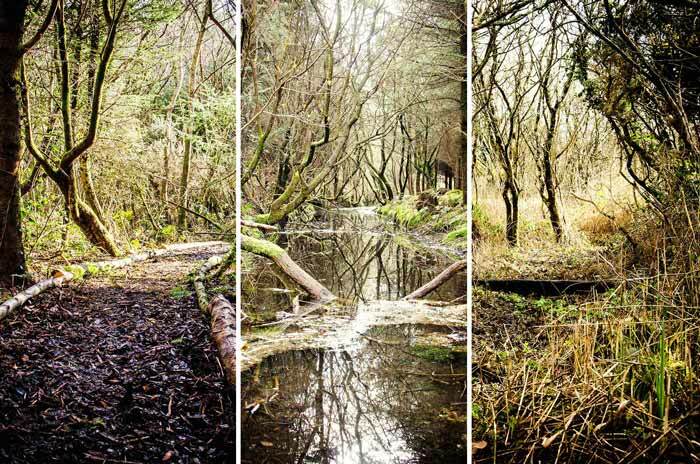 We invite you to come and discover this hidden gem, nestled amidst four and a half acres of woodland, marsh wildlife. 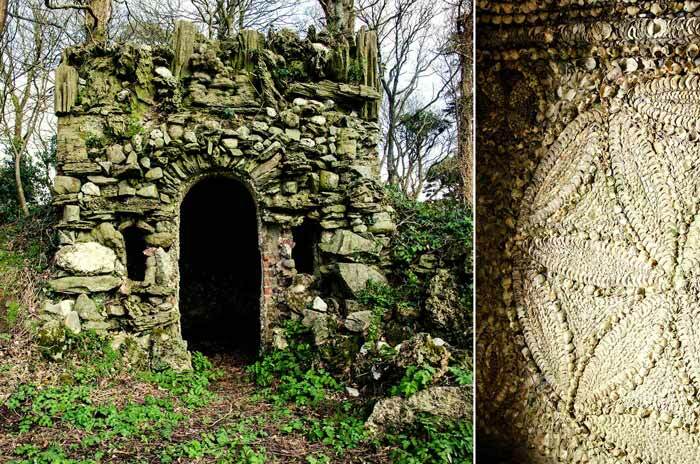 Here too you can walk up Holly Hill with its mysterious two hundred year old shell house with panoramic views of the most famous beach in Ireland, Curracloe. Our focus is on education, exploration and experience as that is how we learn best. It is interesting to know that the word ‘education’ comes from the Latin meaning ‘to lead out’ or ‘to draw out’. In the Parable Garden we want to lead you out into a deeper understanding of the inner spiritual journey and of our connectedness with ourselves, each other and the earth. We are committed to learning from doing. This is a project rather than a centre. As our project develops we will learn from each other. We want to learn from you, to hear what echoes for you as you come and enjoy the experience here at the Parable garden. Each day at the Parable Garden includes an engaging mix of short film presentations, audio walks, discussion, ritual and time for personal reflection. Please enjoy some short excerpts from our homemade media content! Fr. Dermot Lane shares his thoughts on on Laudato Si and its relationship to climate change and global warming. A chat with local Farmer David French about the highs and lows of living from the land. We have many interesting places to discover during your trip to the Parable Garden. The Shell house remains a mysterious construction placed atop Holly Hill. Facing south, at both sunrise and sunset on the winter solstice, sunlight beams dispel the winter darkness. The patterns and design created in local shell capture the imagination in a unique manner. To date, no one has fully explained the story and purpose of the walled hill. Between the Parable Garden and the sea is a wilderness of Sally tree and marsh. It is a strange landscape usually inaccessible to walkers. This threshold location between land and sea is ideal for those who want to amble, find solitude and reflect. The Ambry is an ancient sacred place, which developed during the first three centuries of Christian worship. 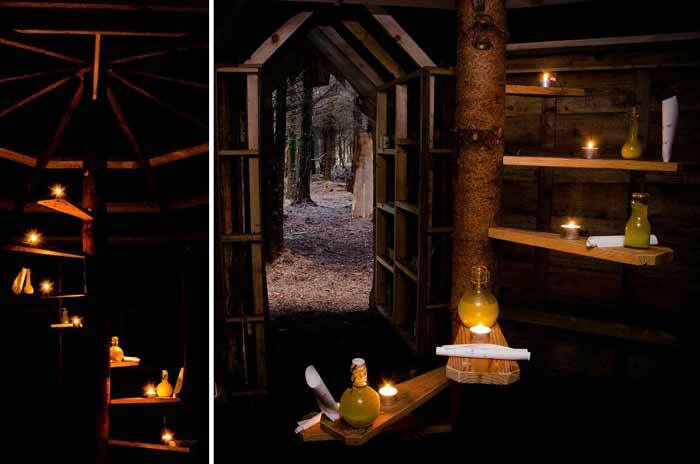 Originally created as a repository for sacred oils, today it is presented as a hidden location in the forest to renew and revisit spiritual identity.